Recycling is fashionable! 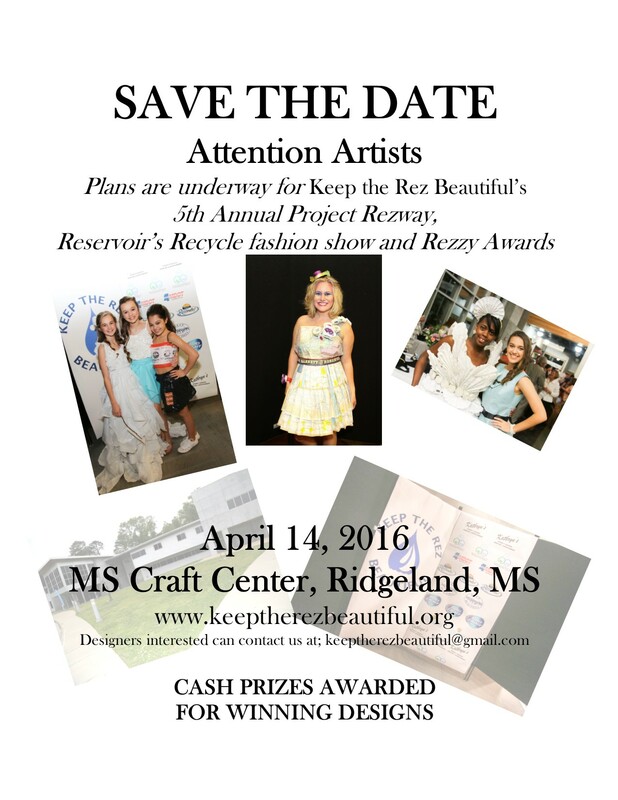 That’s why Keep the Rez Beautiful holds an annual recycle fashion show called Project Rezway. All proceeds go to KRB’s cleaning and greening efforts. KRB is grateful to the top sponsors who make this event possible, including Kathryn’s Steakhouse, Mississippi Department of Environmental Quality, Reservoir Foundation, Waste Management, Keep Mississippi Beautiful and Mississippi Department of Transportation. Nominations for Keep the Rez Beautiful Rezzy Awards are now closed.